A son whose mother bludgeoned his father to death is "overcome and overjoyed" that she can challenge her murder conviction. 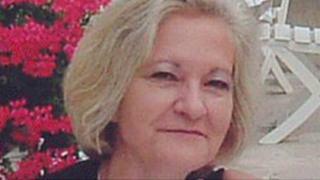 Sally Challen, 63, whose real name is Georgina, admitted killing Richard, 61, in August 2010 but denied murder. Her lawyers argue she killed her "controlling" husband after enduring years of psychological abuse. David Challen said he was "thankful we are being allowed the opportunity to explore this issue further". Challen was jailed for life in June 2011, and ordered to serve a minimum of 22 years, but later had the jail term reduced by four years on appeal. She had denied murder, claiming diminished responsibility. She wants the conviction substituted for one of manslaughter, which can carry a much lower sentence. Challen's lawyer, and co-founder of Justice for Women, Harriet Wistrich, claims her client was a victim of coercive control - a kind of psychological abuse - because of her husband's behaviour. The concept was only criminalised in 2015, four years after the trial. Justice for Women, which has been campaigning to overturn the conviction, said Richard Challen "bullied and belittled" his wife and "controlled their money and who she was friends with, not allowing her to socialise without him". Ms Wistrich said the new law would have recognised that Challen had "killed out of a sense of total desperation". Speaking outside the Royal Courts of Justice after three Appeal Court judges ruled that she could appeal, Mr Challen said he was thankful that the justice system "acknowledges an issue might have been overlooked or not properly investigated". He said he was optimistic that "a lot of good can come from this for my mother and for anyone else suffering from mental domestic abuse in reference to coercive control". "This is a first step on a road to investigating this issue properly," he said. During her trial, jurors were told Challen attacked the retired businessman with a hammer as he ate lunch at the kitchen table in their former marital home. She had believed he was cheating on her . After attacking him, she drove 70 miles to Beachy Head in East Sussex, where she admitted to chaplains trying to coax her away from the cliff edge that she had killed her husband of 31 years.